← Final Out in Reel 2012 Films! 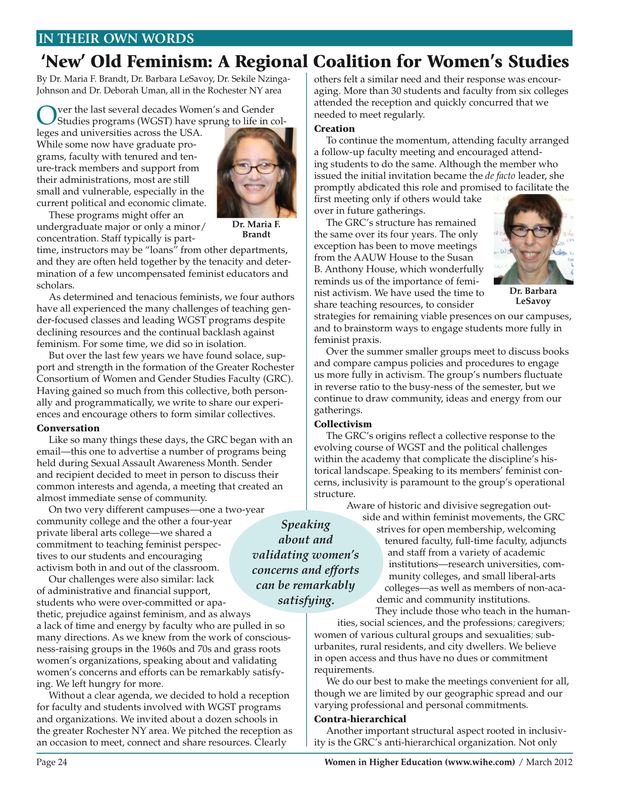 The following article is re-posted with permission from Women in Higher Education. The authors are members of the Greater Rochester Consortium of Women and Gender Studies Faculty (GRC), a collective that includes Gender and Women’s Studies faculty and administrators from several colleges and universities in the greater Rochester area. The Susan B. Anthony Institute is a proud member of the GRC. 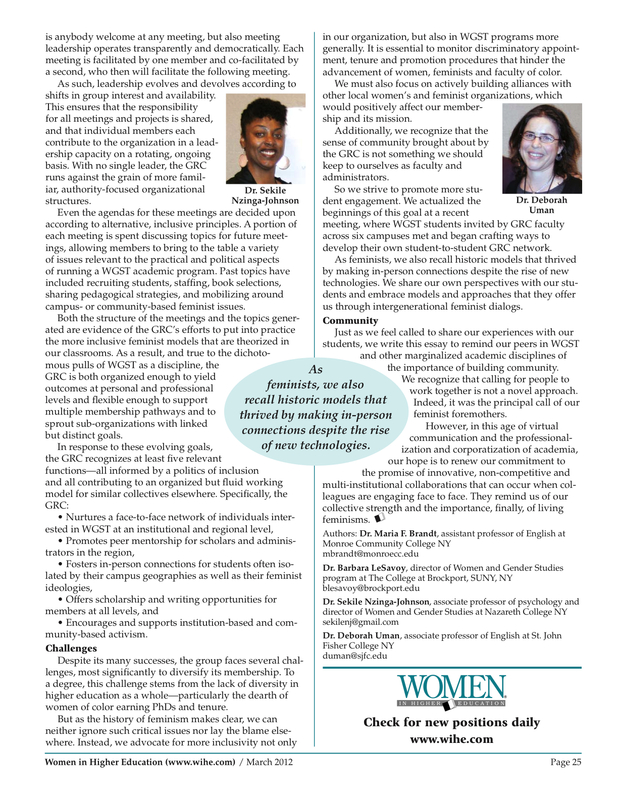 Read on to learn about the formation and growth of the GRC, the challenges that Gender and Women’s Studies programs face, and what this all means for the present and future of such programs. This entry was posted in Community, Guest Blogger and tagged #academic programs, #gender studies, #grc, #guestblogger, #women in higher ed, #women's studies. Bookmark the permalink.